The idea of creating an ideal world is a large part of the Minecraft experience, but beyond building structures and terraforming areas there are surprisingly few options that allow players to actually do so. 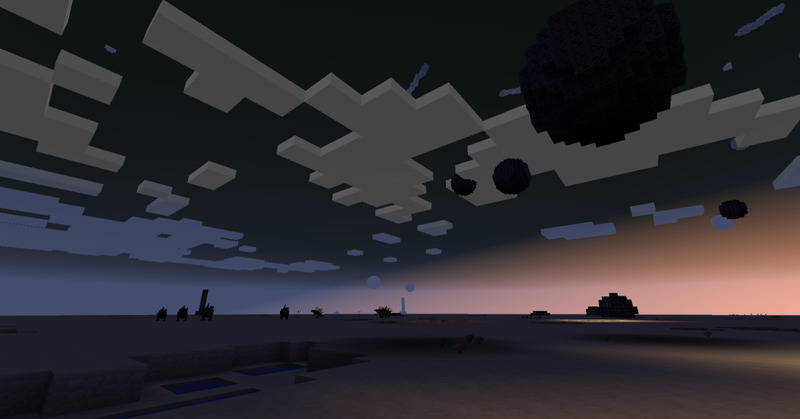 In version 1.7 and below, players can only chose to enter a world with normal-sized biomes, larger ones, a land of impossible terrain spikes, or an infinite and flat field with no natural features. Minecraft 1.8 partially alleviated this issue by implementing customizable worlds, but there are still some features that this does not allow, and choosing a customized world prevents players from enjoying the standard version of the Overworld on the same save. Many mods take a different approach, and add new biomes and dimensions to Minecraft, but even though there are many of these, they simply can not cover every type of world imaginable. 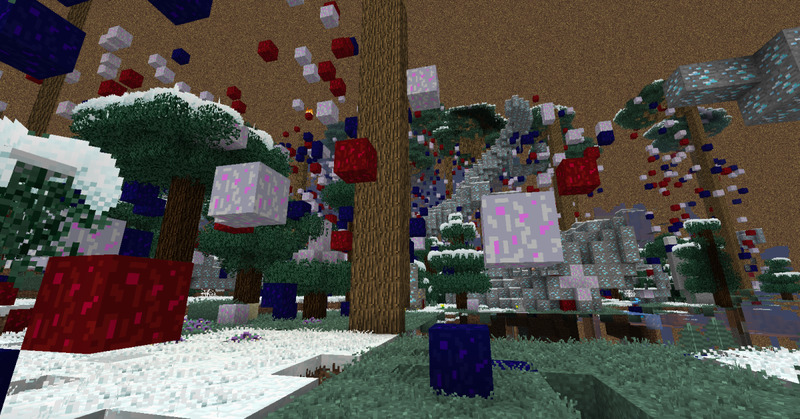 But while no mod can give players every possible setting in which to build their home, the customizable worlds of Mystcraft can come rather close at times. 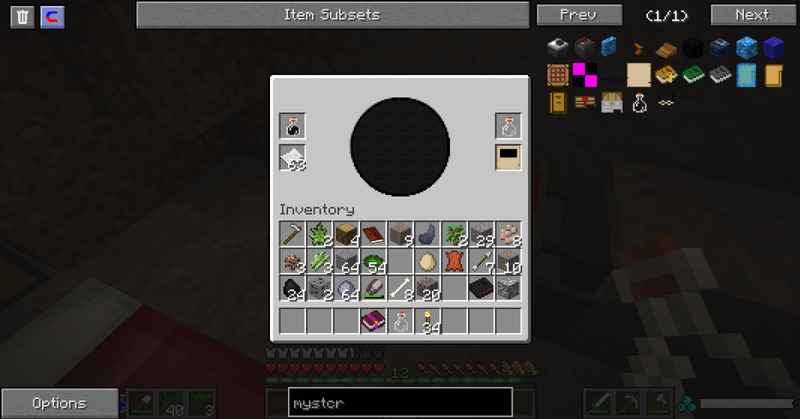 Unlike many magic mods, there is no need to spend more than a few minutes to get into the meat of Mystcraft: Almost every part of it can be accessed by a player with some ink, a glass bottle, and a little iron. 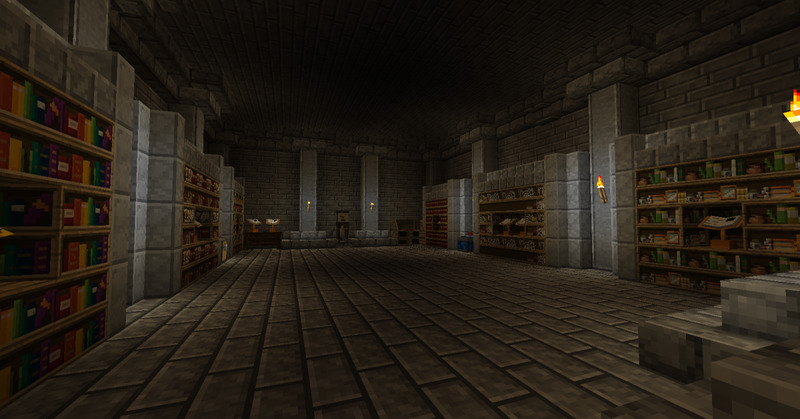 Unlike most magically-themed mods, starting up Mystcraft is a relatively simple affair. 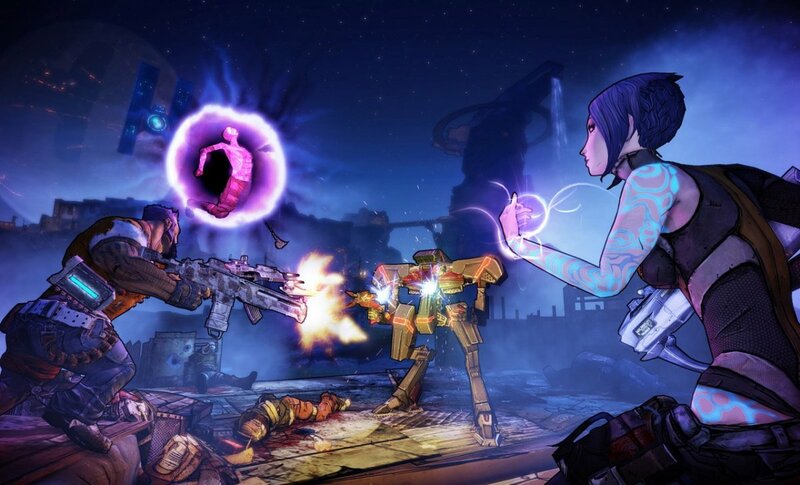 Players can create a randomly generated world within their first one or two in-game days by making an ink mixer, placing a bottle of ink and some paper within, and collecting the link panel that the machine produces. After that another device, the book binder, must be used to combine the link panel and a piece of leather into a descriptive book, a name for that book must be chosen, and then the finished work can be used to create a randomly generated dimension. Players can then open these books and touch the panel inside to enter their new world. Not every dimension one creates will be pleasant, but it is hard to make a world that is not interesting. However, one should be prepared for anything when doing this, as there is little way to know what kind of world the player is about to enter. There might be massive root systems crossing the sky, or the land could be completely flat and featureless. 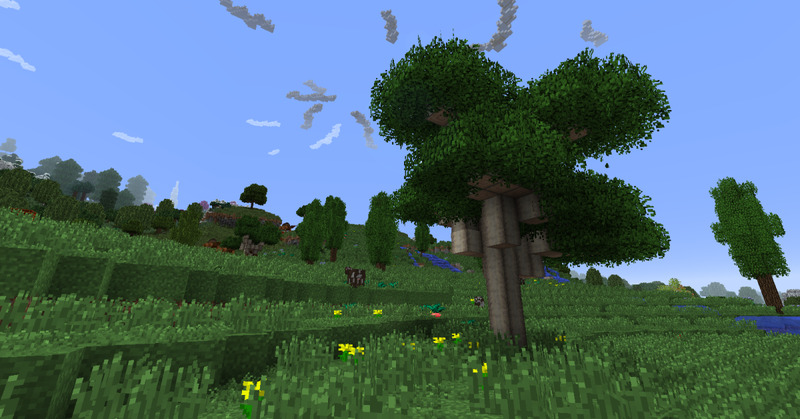 Minecraft's normally short trees may reach a hundred meters into the air, or the land itself could be floating above the clouds, with nothing underneath but empty space. Oceans can be made of lava, Nether fortresses could rise above the trees of a forest, and spheres full of precious metals might float above the surface of a world. Some dimensions can share many similarities with the Overworld, but possess much larger areas than normal, or have two square-shaped zones repeated throughout the land. And some of the basics of these dimensions do not even need to keep the same appearance as they have in the Overworld, the grass, leaves, water, and even a world's sky and celestial bodies can all be different colors from what the player has grown used to. 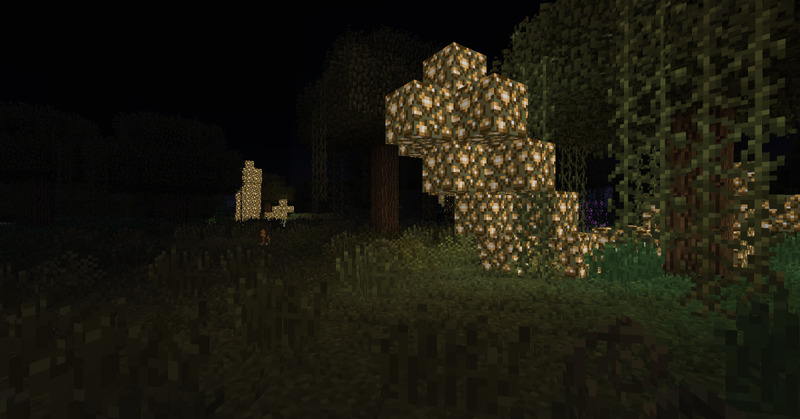 There is almost no limit to the types of worlds that can be encountered with Mystcraft or the potential treasures that can be found within them. 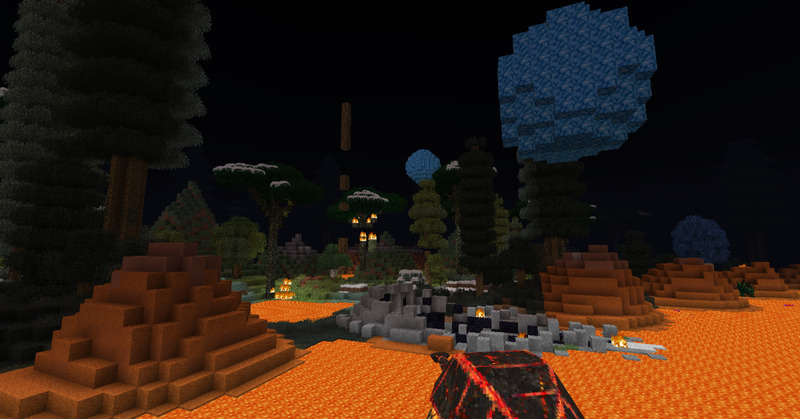 Some dimensions are wildly different from the Overworld, but others only have a handful of important changes, such as the addition of glowstone clusters. But not all possibilities are good, there are many horrible places that one can create. In some worlds the air can be unhealthy for players, slowing their movement, making them nauseaus, or spreading poison throughout their lungs. 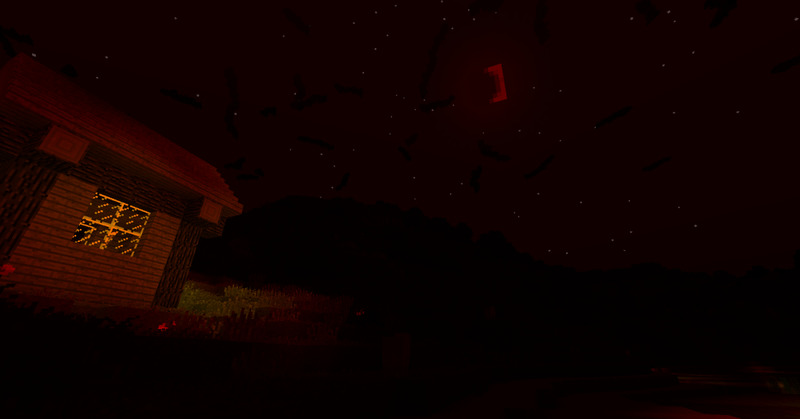 The land might be shrouded in perpetual night, or spread light over a shorter distance that normal, allowing monsters to spawn much more easily. Sometimes the player can encounter lands that are endangered by constant meteor showers, slowly breaking the world apart and killing anyone foolish enough to try and cross over the surface. In other worlds, the sun might be too close to the planet, quickly burning to death anyone caught in daylight even if they are not one of the undead. A few dimensions can even have a purely magical instability, randomly generating pitfalls or new blocks throughout the land even while the player attempts to explore. Cave worlds are a common occurrence in Mystcraft, and are perfect place for lovers of the underground to take up residence. And the descriptive books used to travel to these places stay at the location they are used from, meaning that players will need to find another way to get back to their home dimension. One strategy for doing this is to search for star-fissures, rare places in generated worlds that will teleport anyone that falls into them back home. But these are very rare, so smart players will want to craft a linking book from a piece of leather and a link panel before they enter a new world. 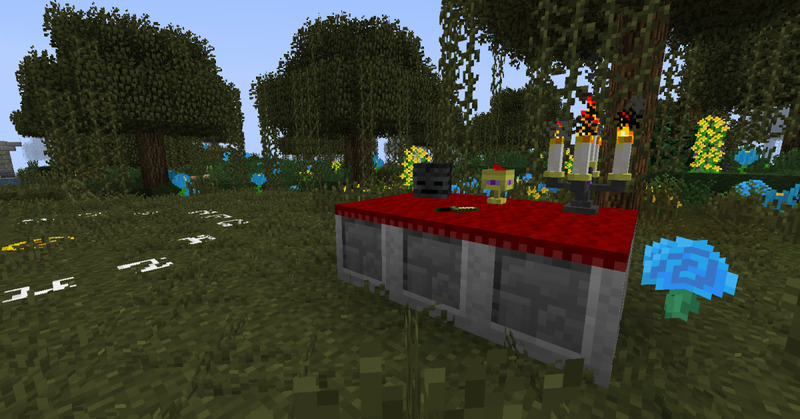 These can be bound to the player's location, and activated to warp them back to that place at any time from any other dimension, whether from the original game, those created with Mystcraft, or any of the ones added by other mods. However, these only work to move players from one dimension to another: travel inside of a world must be achieved through other methods. Linking and descriptive books stay at the location where they are used, and can be damaged when dropped on the ground, so using bookstands for them is suggested. Even if players have a linking book ready and no interest in the special features of a world, they might want to explore it anyways in hopes of encountering an ancient library. These are structures that can only be found in generated worlds, and they are one of the few ways to gather a very important type of item: a symbol page. These are special sheets of paper which hold either a terrain feature like forests and obelisks, or a description such as a color or a type of material. Once found they can be placed inside of an unfinished descriptive book to include that element in the next world, or used to describe an aspect on another symbol page. Libraries like this are the best way to gather new symbol pages, especially for more destructive types of players. But there are a huge number of these pages, and they are used up when placed into a descriptive book, so players will probably want to manage them using the mod's symbol portfolios, collection folders, and writing desks. 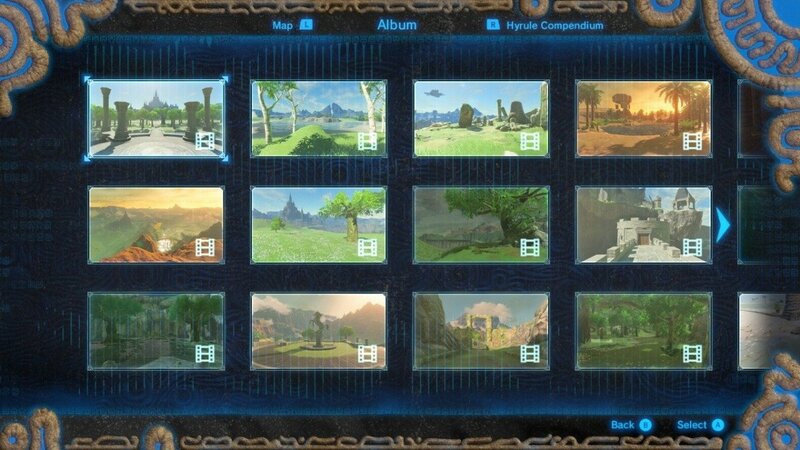 The symbol portfolio is a folder that can hold all of the hundreds of symbol pages that the player can collect, will automatically alphabetize them, provides a search bar for easy access to needed symbols, and can show the player what pages they have yet to discover. That in itself is fantastic, but when a portfolio is placed in a writing desk alongside a jar of ink and some paper, players can right-click one of the portfolio's symbols to make a copy of it, meaning that they never have to use up valuable symbols such as dense ores after they have been found. The writing desk can also hold smaller collection folders, and symbols can be dragged from the main portfolio into these files, and then the folder into an unfinished descriptive book to automatically place and sort some of the pages into the form needed to create a desired world. The symbol portfolio gives players a lot of tools, but the best might just be the ability to see what symbols have yet to be discovered. There are no in-game explanations of how books need to be ordered, so it is quite easy to make an unstable mess of a world. Unfortunately, collection folders can only sort some parts of a descriptive book automatically, before they can safely write their own dimensions players will need to know how to manually organize their worlds. 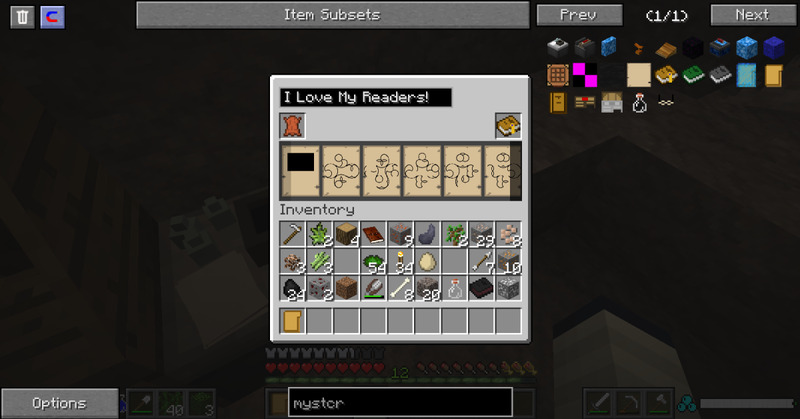 This is done in the book binder; after a linking page and a piece of leather are placed in the device, players can set down the additional symbols that they want in the world, and then drag and drop them into the correct order. Descriptive symbols go before the features they are illustrating, and if a collection folder is dropped into the binder, commonly used words like colors will still need to be sorted into place manually. Multiple words can be used to describe the same feature in certain situations, and placing an item in the wrong place can sometimes lead to very unpleasant results. Worlds that are not completely described will have random features added to them, meaning that most players will want to try and fully write their books before creation, but sadly, there is no in-game way to know what all is needed. Despite how complex the system is, once a player understands the system behind writing worlds, it is fairly easy to customize a dimension to their liking. Instability can be a subtle threat, but most of the time players will recognize an unsafe world the moment they reach it. Not that this means that they can construct any world they want without suffering repercussions. 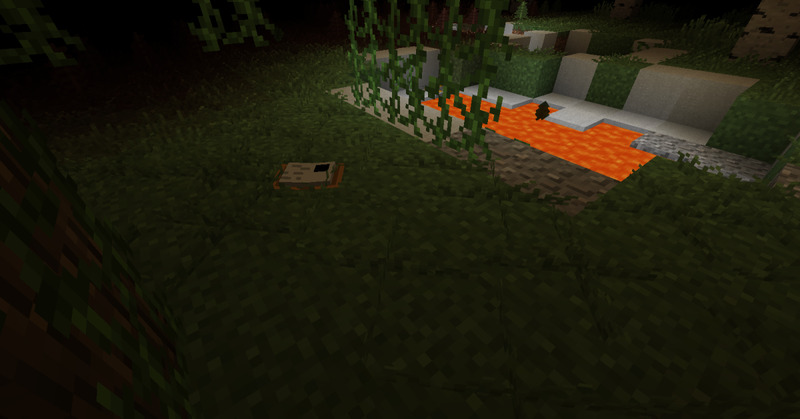 Worlds with powerful effects like diamond obelisks or dense ores naturally suffer from instability, causing many unpleasant side-effects, and can sometimes begin rotting away before the player's eyes. There are a few symbols that can be used to combat instability, but they are themselves quite horrible, and include things such as constant lightning storms or meteor showers. 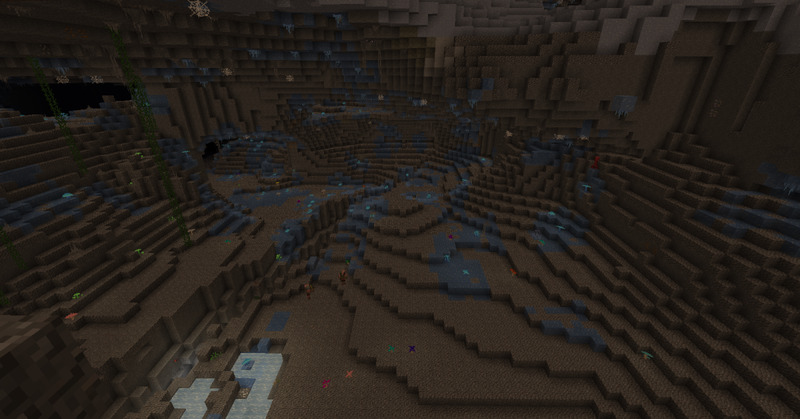 Clever writers can make some very beneficial worlds that are quite stable and can be safely lived in, but a dimension that is almost completely made of diamonds is likely to kill the player before a single block has been mined. 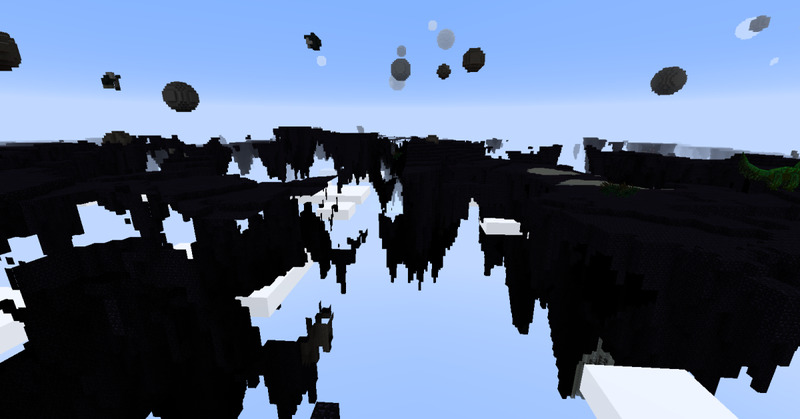 Occasionally players can find crystal formations while exploring new worlds, though depending on the shape it takes, getting to it can be a major challenge. But once a desired world has been created, players might want to move themselves and their pets into it, something not possible through books. Instead they must use the crystal blocks found in some worlds to construct more traditional-style portals. These can be build in almost any shape or size and be either vertical or horizontal, all that is required is an unbroken space surrounded by crystal blocks with a book receptacle attached. Either linking or descriptive books can be placed into the receptacle to pick the endpoint, and these portals can then be used to move animals and other entities between dimensions, or allow groups of friends to easily travel between worlds side by side. Portals can be made in almost any shape, letting players imitate famous structures like the Stargate or highlight some memorable feature of the connected world. 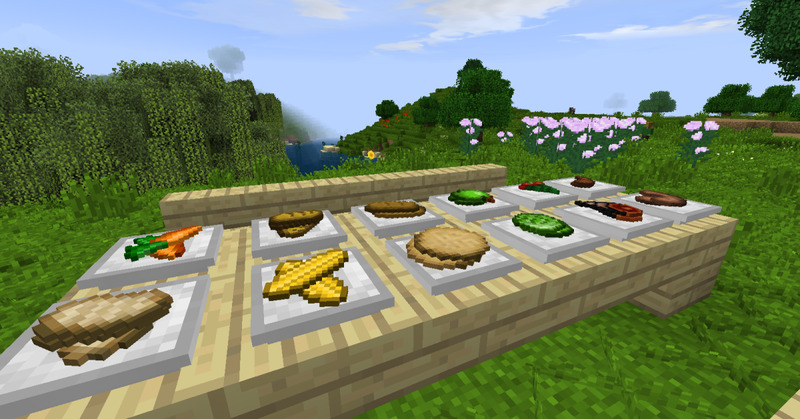 There is one more important feature to note about Mystcraft: its compatibility with other mods. The developer has put a ridiculous amount of effort into this, and the generated worlds can add features from almost every plugin in a player's mod folder. 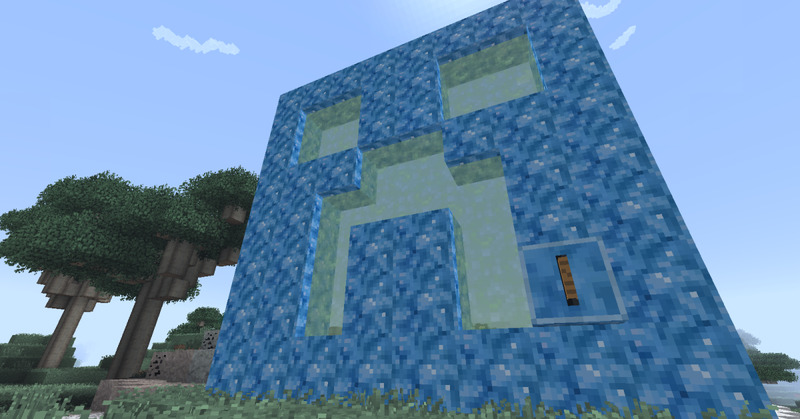 And those features are not just locked to the completely random worlds, they can appear on symbol pages and intentionally placed within books, allowing players to create worlds where the land is covered in Thaumcraft's taint, and the oceans are filled with Mariculture's custard if they so wish. Furthermore, there is an extensive profiling system that can be configured to run at either at the beginning of the game or in the background while playing that attempts to read through any other installed mods and balance Mystcraft's worlds around them. 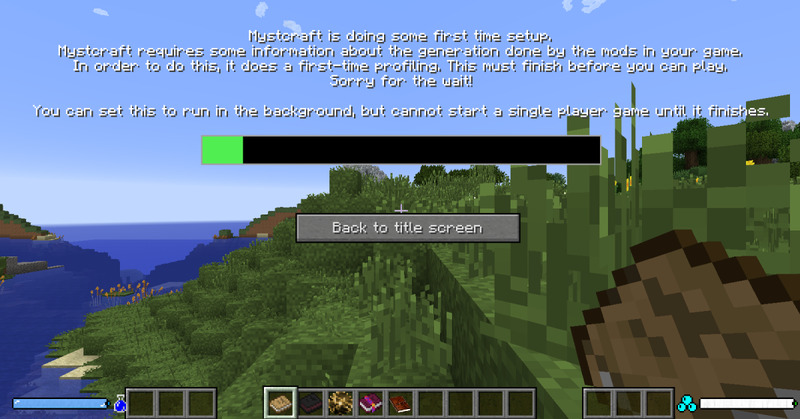 Fortunately, Mystcraft's profiling only has to happen once, and can be set in the background if one has a fast computer. But those on slower systems will have to deal with a several-minute long loading screen the first time they start the mod. While there is a lot of good to Mystcraft, there are also several issues that might keep players away. Key among these is the mod's complexity: there is no in-game manual, and the various user interfaces are not very intuitive. Without reading an online guide of some sort, is is easy for new players to get stuck in another world, not realize what all is needed to make a stable dimension, or simply not know how to correctly use certain devices. Players also cannot link between two places in the same dimension, an issue that seems odd considering that one can simply jump into a secondary world and then to another chosen point within the first land with little difference in gameplay beyond the addition of loading screens. 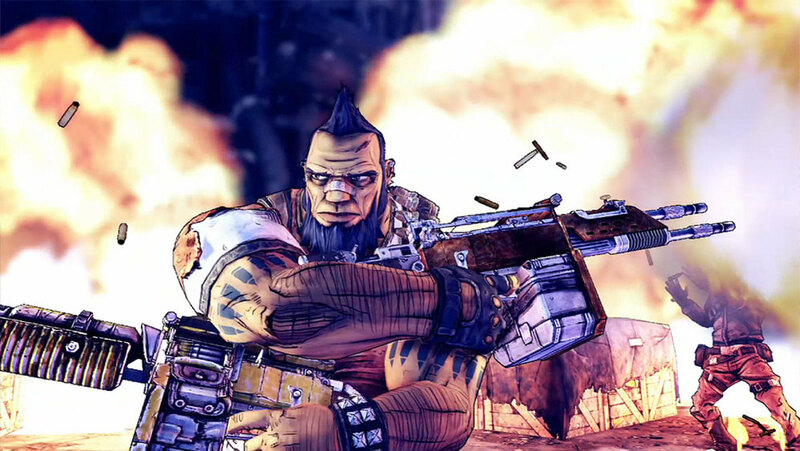 The profiling system is nice once finished, but if run in the background can cause lag on some computers for quite a while, and otherwise adds a long loading period to the game's initial startup time. And even though Mystcraft has been around for quite a while, it can still crash on rare occasions, so keeping a backup save is suggested. Mystcraft does not have to take up as much space as most mods, but with how good it looks and how many useful worlds can be created, it can prove worth it to make a nexus of some kind. 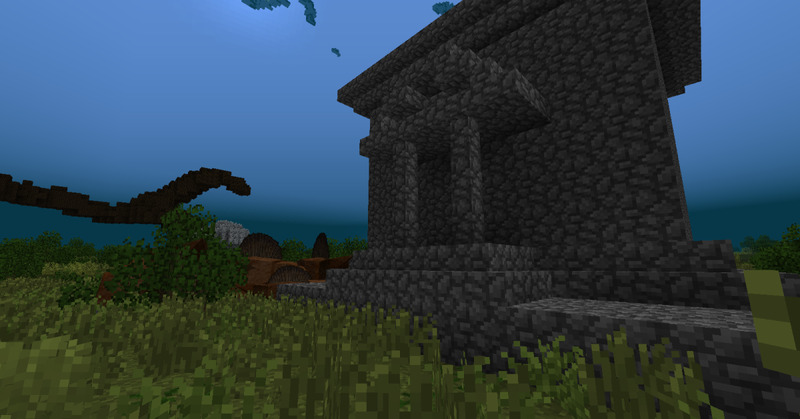 Mystcraft may have some imperfections, but the dimensions made by it can come closer to a player's ideal world than what just about any other mod can provide. It can create worlds full of underground jungles, peaceful lands where islands float through sky, or dimensions where Nether fortresses and villages sit side-by-side. A player who likes a challenge might create horrible land of shadows, monsters, and meteor showers to try and survive in, or choose to live in a world where the ocean is lava and there are no continents. Dimensions in which crops grow faster or veins of diamonds run through the skies can be built by those who are willing to run the risk of instability, or one might simply chose to retire to a small island surrounded by endless ocean. 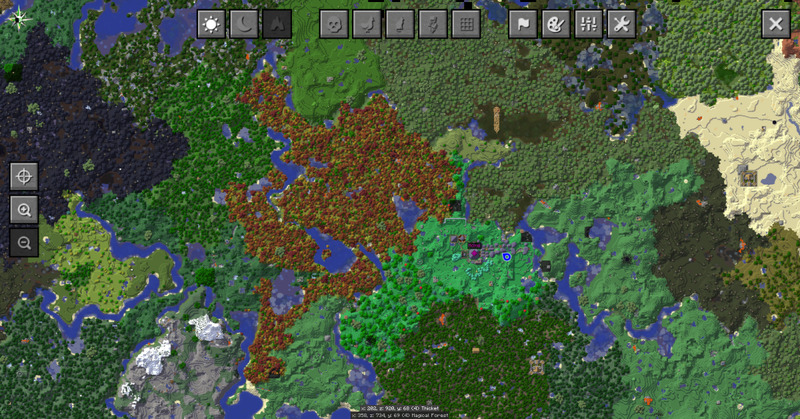 Mystcraft cannot cover every single setting imaginable, but it comes awfully close. Was that added in the most recent patch? Will have to try messing with that at some point. I had thought the only way to access intra-linking was to cheat in the book modification block and add it there. Anyways, cool to know, and next time I'm messing with Mystcraft I'll check the details and update the article. Linking books linking to the same dimension are possible. You just have to mix something valuable into the ink in the ink mixer to get additional effects like "Intra-Linking" on the linking book page you use to construct the linking book. Ohhh, I missed the addition of a Portfolio item. Thanks! That said, I have bookmarked the Garden Stuff page, so once I am done with the current set of mods it is likely to end up in my game and be examined before too terribly long. Eventually I plan on reviewing everything no matter how big or small, but Garden Stuff is not set to be one of the next two or three mods I examine. Most likely the next one is going to be about enhancing a specific type of place in the game, though I haven't decided whether to highlight a single mod, or do a larger "Mods that Improve the ____" article like my Nether one. 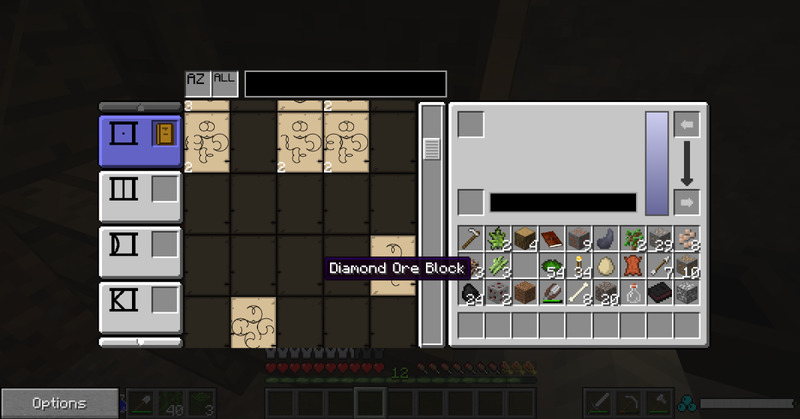 As for the Mystcraft question, the UI screenshots are all from the most recent version. To show unowned symbols click the "all" tab at the top of the portfolio's UI, that should bring up the screen with all possible pages. As for copies, I believe what is happening is that you are using a collection folder to store your pages, not a symbol portfolio. What version are you using? I have 0.12.0.00, which I think is the latest, but it doesn't show unowned symbols or stack extra copies like you showed it doing. Also, do you plan to do a review for jaquadro's Garden Stuff?